If you want one the Limited Edition 2019 Subaru WRX RAIU special models, you better act quickly. Subaru Canada announced only 100 examples will be produced for performance fans north of the border. It’s the first special edition WRX Subaru Corp has produced for Canada in 15 years. The word RAIU is Japanese for thunderstorm or lightning storm which is what the Japanese automaker wants this new limited edition WRX to be. 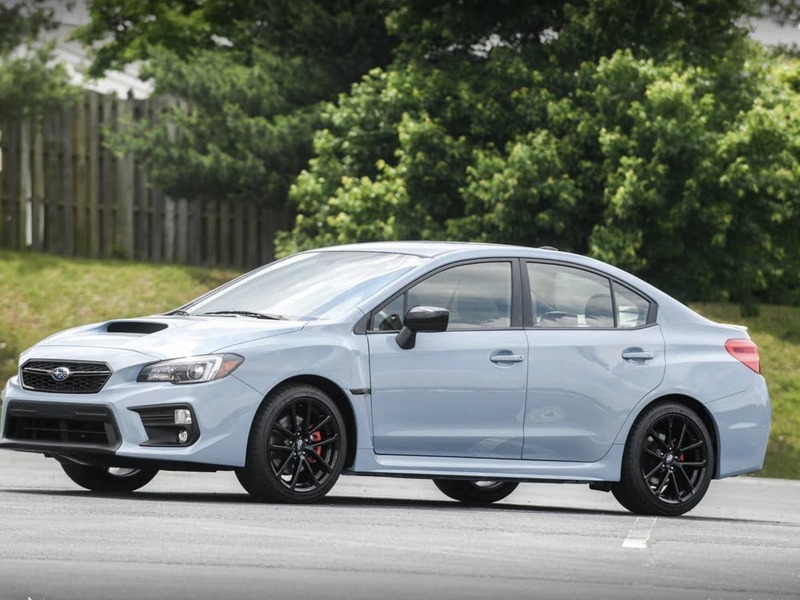 Subaru WRX RAIU is similar to the U.S. limited edition 2019 Subaru WRX Series.Gray model, but Subaru is producing 750 examples for U.S. performance fans. U.S. fans also get the 2019 Subaru WRX STI Series.Gray with 250 examples heading to U.S. dealers that Canada will not see. The new 2019 Subaru WRX RAIU is based on the Canadian WRX RS Sport-tech trim and includes the Performance Package with ultra-suede-trimmed Recaro seats, 8-way power driver’s seat, JURID front brake pads and moonroof delete. It also adds LED Steering Responsive Headlights, LED fog lights and Keyless Access with Push-Button Start. No engine upgrades are offered on the Limited Edition Subaru WRX RAIU. It’s powered by the same 2.0-liter 4-cylinder turbo Boxer engine producing 268 hp and 258 lb-ft of torque as the standard model, coupled with the 6-speed manual gearbox. Also included are a 7-inch multimedia touchscreen, Apple CarPlay and Android Auto compatibility and 9-speaker Harmon/Kardon premium sound. If you want one of the ultra-exclusive 2019 Subaru WRX RAIU special models, you better act quickly, only 100 examples of the Limited Edition trims are being made available in Canada. Starting price for the WRX RAIU will be $40,995 (Canadian) and they will be arriving in showrooms soon.